U.S. LED FORCES LAUNCH MILITARY DASH TO 33RD PARALLEL -- BAGHDAD, IRAQ! Title: U.S. LED FORCES LAUNCH MILITARY DASH TO 33RD NORTHERN PARALLEL -- BAGHDAD, IRAQ! Subtitle: lluminists believe that blood shed on or near 33rd parallel is ritually very powerful. This war joins the list of major historic events occurring at or near 33rd degree parallel. "Minutes before and after President George W. Bush made his announcement that the early stages of the military operation to undermine Saddams ability to wage war had begun, sirens and explosions were heard in Baghdad as the first Tomahawk cruise missiles and F117 stealth bombers went into action over Baghdad and Tikrit. Pentagon officials disclosed that the cruise missiles in quantities measured in two digits were fired from vessels in the Red Sea and Persian Gulf. Targets were described as 'senior Iraqi leadership' in Baghdad." Thus, President Bush ordered the launch of American missiles to officially began the drive to Baghdad, a capital we must take if we are to force the "regime change" about which we have long been talking. What most people do not realize is that Baghdad sits directly on the 33rd Parallel and that the ancient city of Babylon -- which Saddam has largely rebuilt -- is less than 30 miles north. As you will see as we progress through this article, this geographic location is mightily important to the Illuminati. Has the time come for a huge loss of life to occur at the 33rd parallel, possibly as a means by which to bring in The Christ of the New World Order? 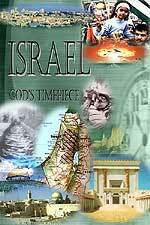 Yes, King David reigned in Jerusalem for 33 years.! "The man-god becoming immortal". Let this sink into your mind thoroughly, for as you think through the full implications, you will understand that the very highest "man-god immortal" is Antichrist himself! Thus, it is highly significant that, on March 3, 2003, Luciferians were calling their people to meditate at 3:33am and 3:33pm for 3 minutes. The date and time of this call formed 3 sets of '333'! A triplication is the absolute highest form of emphasis the Illuminati can give! [Read NEWS1778 for full details, including the sad story as to how Christians were tricked into praying at the exact same time, according to the same Satanic numeric framework]. Further, these occultists seek to bring a "select number" of citizens of the earth along with them, so that the entire world can begin to go through a path to this highly exalted spiritual consciousness; at this moment, every one on earth will have a physical Third Eye, just as did the citizenry of Atlantis! Now, who is going to lead the peoples of the world into this highly exalted spiritual journey? As we move forward in this article, we will focus on the number '33' and the way in which occultists have planned events and geographical locations around the 33rd Northern Parallel. You will be shocked at the bloody manner in which the New World Order will be established. First, let us speak of the way civilizations fall either to the north or to the south of the 33rd Parallel. Most of the worlds wealth is stored north of the north 33rd Parallel. Major financial centers north of the 33rd Parallel include London, New York, Chicago, and Switzerland. Most of this planets six billion people live south of the 33rd Parallel. One of the major historic facts is that the entire system of satanic lore germinated in Babylon which is located precisely on the 33rd Degree Parallel! Until the time of the Grecian Empire, the center of power was south of the 33rd Degree, held by Egypt and Babylon. 1861, On April 12, Confederate forces fired on the Unions Fort Sumter in Charleston Harbor, South Carolina, igniting the Civil War. Charleston, at the 33rd Parallel, is known officially as the Mother Lodge of the World. This Lodge had been founded by Moses Lindo as the King Solomon Lodge. Thus, the Civil War was started at the 33rd Parallel, a very Masonic thing to do! 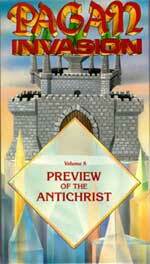 March 3, 2003 -- Special prayer called for to prepare the occult world for appearance of Antichrist, as discussed above. March 13, 2003 [3 -3 - 3] -- President Bush orders the beginning of the aerial campaign, as discussed above. March 20, 2003 -- Official beginning to fully coordinated assault on Iraq. The final target is Baghdad, located on 33rd degree parallel. As you look carefully at this map, you can easily see how the 33rd Degree Parallel runs. You can see that the parallel runs right through Baghdad, with the ancient town of Babylon only about 25 miles away. If our Masonic leadership chose Nagasaki simply because it was located on the 33rd Parallel, is it any stretch of the imagination that the next target for U.S. nuclear attack might be Baghdad, or Iraq, for the entire country is located within a few miles within that parallel? News reports just a few days ago indicated the Pentagon was "possibly" planning to use nuclear weapons in Iraq. In NEWS1761, we reached the conclusion that this coming war had nothing to do with the presence of Iraqi Weapons of Mass Destruction. This war also has nothing to do with terrorism, or with Iraq's supposed plans to use WMD on us or her Middle Eastern neighbors. Rather, this war is going to be waged simply because Iraq is in the center of world events -- at the 33rd Degree Northern Parallel. Just to the West of Baghdad is the Plain of Megiddo, where the final Battle of Armageddon will be fought!